ONPEX helps businesses build their own financial services. We provide multi-currency IBAN accounts, global transfers, and ePayments powered by open APIs to create simple, compliant, and cost-efficient payment and banking solutions. 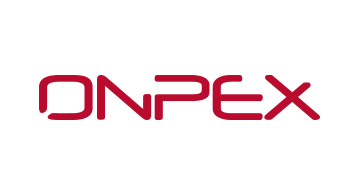 ONPEX is a global provider of modular, white-label Payment and Banking solutions. The Luxembourg CSSF-regulated financial institution and SWIFT member focuses on improving the scope, automation, and efficiency of payments. ONPEX solutions are PSD2 and PCI DSS-compliant. We enable banks and financial institutions to expand their offers, streamline processes, and offer new API-based services connected to their legacy core banking systems. With us, Banks, Acquirers, and PSPs, as well as non-regulated businesses such as ISOs, Processors, Marketplaces, and Resellers are expanding and simplifying their payment services around the world with made-to-measure payment processing and banking. ONPEX has entities in Europe and Asia.